With this utility you can save your selected data range or the entire worksheet as a new file. You can choose not to include hidden cells in your export. You can also use the CSV option to create your own custom separated file by setting your own field separator, field encloser and decimal separator. This way you can for example create pipe (|) delimited text files. 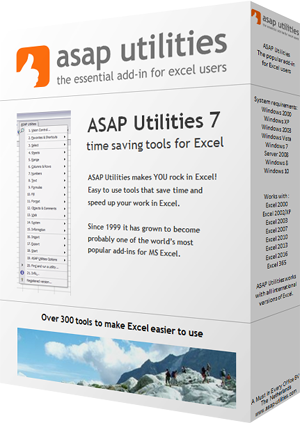 In Excel 2007 and later the export to dBASE will not work; Microsoft has removed the option to save files in dBASE format from this Excel version and ASAP Utilities needs this built-in functionality from Excel.